High mobility group box protein 1 (HMGB1) is a nonhistone nuclear protein that is a prototype alarmin with distinct functions inside and outside the cell. As shown in studies of in vitro and in vivo models, HMGB1 displays powerful immunological effects that can stimulate innate immunity and drive the pathogenesis of a wide range of acute and chronic inflammatory diseases (1,2). HMGB1 is 215 amino acids long and has a unique structure that facilitates binding to both DNA and histones in the context of the nucleosome; this structure consists of two DNA binding domains (the A and B boxes) as well as an acidic tail. While HMGB1 resides predominantly in the cell nucleus, it is not tightly adherent to chromatin and moves along chromatin in a “hit and run” fashion (3,4). The mobility of HMGB1 inside the cell may allow rapid extracellular translocation during cell death and the generation of alarmin activity. The immune activity of HMGB1 was first discovered in studies designed to find novel mediators of sepsis. As demonstrated in seminal experiments by Wang et al., LPS stimulation can induce the release of HMGB1 of cells, especially macrophages both in vitro and in vivo, with HMGB1 inducing the production of cytokines to mediate the late effects of lipopolysaccharide (LPS) (5). Subsequent experiments demonstrated that the kinetics of HMGB1 expression differs significantly from that of conventional cytokines such TNF-α, with its prolonged expression providing a much greater opportunity for intervention than the rapid burst of cytokines whose production may end prior to a patient coming to medical attention (6). While original studies suggested that HMGB1 can serve as a cytokine, subsequent studies have demonstrated more diverse activities that depend on posttranslational modifications. These modifications involve three cysteine residues at positions 23, 45 and 106. With these residues in a reduced form, HMGB1 can bind to the chemokine C-X-C motif chemokine 12 (CXCL12) to induce chemotaxis. With a disulfide between cysteines at positions 23 and 45 and a free sulfhydryl at position 106, HMGB1 can interact with toll-like receptor 4 (TLR4) to stimulate cytokine production via activation of NF-κB among other downstream activation systems. With complete oxidation of the cysteines as sulfonates, HMGB1 loses its activity. Because of changes in the redox status of HMGB1 during ongoing inflammation, this protein can orchestrate an inflammatory response from initiation to resolution (7, 8, 9). As shown using in vivo and in vitro systems, the translocation of HMGB1 from the inside to the outside of the cell occurs in two seemingly disparate settings: cell activation and cell death (10, 11, 12, 13). With stimulation by LPS, an agonist of TLR4, extracellular release follows acetylation of key lysine residues that serve as nuclear localization signals; the activation of the Janus kinase/signal transducer and activator of transcription 1 (JAK/STAT1) signaling pathway plays a key role in this process (14). With acetylation, translocation of HMGB1 to the cytoplasm occurs, with HMGB1 entering lysosomes for secretion (5,10,12). In addition to release during TLR stimulation, HMGB1 can exit cells during stimulation of the inflammasome during a process called pyroptosis which also can be induced by LPS (15). Depending on whether activation of the inflammasome and a TLR occur concomitantly, HMGB1 released during pyroptosis may have redox modifications of the cysteines (16,17). The release of HMGB1 during cell death has been a more complicated issue which has important implications for interpreting HMGB1’s alarmin activity and extracellular disposition. As now recognized, cell death occurs in diverse biochemical and morphological forms based on the inducing agent, time course and the role of different signaling systems. These systems include the caspases and the receptor-interacting protein kinases (RIPK), with RIPK3 mediating a form of regulated or programmed necrosis called necroptosis (18, 19, 20, 21). In the context of the role of cell death in inflammation, necrosis and apoptosis have historically been the major focus of attention although concepts generated from older studies may need reevaluation with newer paradigms and the use of systems in which different forms of death are modeled with a larger set of cell types, cell lines and inducing agents (for example, microorganisms, chemotherapeutics). The subsequent discussion will consider primarily apoptosis and necrosis as a framework to understand the different physical forms of extracellular HMGB1. As commonly understood, necrosis is a form of accidental cell death induced by physical or chemical trauma causing rapid cell destruction. Unlike necroptosis, this type of cell death or necrosis is not regulated and does not involve a role of enzymes. Experimentally, it is induced frequently by severe conditions such as freeze-thaw. By contrast, apoptosis is a form of programmed cell death that involves the systematic rearrangement and compaction of the cell mediated by cascades of the caspase enzymes; apoptosis can be induced by both intrinsic and extrinsic triggers, although the eventual outcome is similar. Importantly, in this binary model, necrosis can induce inflammation while apoptosis is immunologically silent, antiinflammatory or even tolerogenic. As shown in original in vitro model studies, the behavior of HMGB1 in apoptosis and necrosis differs in a way consistent with a key role in determining a dead cell’s immunological activity, acting essentially as an on-off switch (11,13). Thus, with cell necrosis induced in vitro, HMGB1 release is rapid and abundant. By contrast, during apoptosis, HMGB1 shows nuclear retention. In view of the weak adherence of HMGB1 to chromatin, rapid release could simply reflect diffusion away from the cell as permeability barriers break down. By contrast, the nuclear retention during apoptosis could result from posttranslational modification of either HMGB1 or one of its nuclear binding partners to increase interaction. Subsequent experiments suggested greater complexity. Thus, while HMGB1 release can occur during necrosis, its extent may depend on the agent used for the induction as shown in in vitro studies with cell lines (22). As these studies demonstrated, whereas certain inducing agents such as freeze-thaw may cause drastic extracellular translocation, other stimuli including heat and ethanol may lead to limited, if any, release. While less robust than that during necrosis, HMGB1 release can nevertheless occur during apoptosis at a stage called late apoptosis or secondary necrosis. At this stage, cell membrane permeability breaks down and other nuclear molecules such as DNA and histone shift to an extracellular location (23). The release processes during cell death are not immunologically equivalent, however, because sulfhydryl oxidation during apoptosis destroys HMGB1’s alarmin activity (24,25). While HMGB1 release can occur with apoptosis, necrosis and necroptosis and related forms of programmed necrosis (26, 27, 28, 29, 30), in vivo models to dissect these processes have not yet been characterized extensively. There is evidence, however, that the in vivo release of DNA, to which HMGB1 can be attached, occurs similarly with cells undergoing apoptosis and necrosis. Thus, administration into the peritoneum of normal mice of Jurkat cells induced to undergo either apoptosis or necrosis in vitro led to expression of DNA in the blood with similar levels and kinetics (31). As the apoptotic cells in these experiments would be expected to transition to secondary necrosis, these studies suggest that release of at least certain nuclear molecules from primary and secondary necrosis would be similar. This model, however, has not yet been used for cells induced to undergo necroptosis or other forms of cell death in vitro. Models for the action of alarmins or DAMPs (death- or damage-associated molecular patterns) in innate immunity focus primarily on the behavior of single molecular species (for example, HMGB1, heat shock proteins, adenosine triphosphate [ATP]) although cell death causes the simultaneous release of a host of individual molecules as well as macromolecular complexes and higher-ordered structures that are the residues of cell destruction. Among these cell-derived elements, microparticles are proinflammatory and prothrombotic structures emitted from cells as they die. While the terminology for small structures (so-called nanostructures) that serve as immunological mediators has not yet been codified, the expression and actions of these structures closely resemble those of alarmins and DAMPs (32, 33, 34). As currently defined, microparticles (MPs) are small membrane-bound vesicles that are released from cells during cell activation and cell death. These particles range in size from 0.1 to 1.0 µm and contain an assemblage of nuclear and cytoplasmic components, with extracellular release occurring by a blebbing process. Blebs are small bubblelike structures that occur both during early as well as late apoptosis. While the function of blebbing is not known, the formation of these structures may regulate surface-to-volume changes during apoptotic cell shrinkage and facilitate phagocytic uptake of cellular debris (35,36). In contrast to blebs, apoptotic bodies are larger structures, approximately 1–3 µm, and the collapsed remains or remnants of dying cells. Apoptotic bodies also can be active immunologically, although, given the similarity in the origin and composition of microparticles and apoptotic bodies, these structures may represent a continuum both morphologically and biochemically (37). Among the most dramatic events in apoptosis is the translocation of nuclear molecules into blebs. As shown originally by Rosen and colleagues, a variety of nuclear molecules move into blebs, a location perhaps increasing their immunogenicity in autoimmune diseases such as systemic lupus erythematosus (38,39). Bleb translocation also may relate to the role of MPs as vehicles for intracellular communication to transfer messenger RNA and microRNA to another cell to induce physiological or pathological changes. Whatever the origin of blebbing, this process potentially packs MPs with a wide array of molecules that can drive cellular responses, either specifically or nonspecifically (34). The assay of MPs provides a valuable probe for cellular events in vivo and in vitro. MPs can be detected on the basis of size by flow cytometry using light scattering for particle identification. This approach is potentially limited by the operational capability of most flow cytometers which have difficulty measuring smaller particles which overlap with machine “noise” (40,41). Alternative analytic approaches include particle measurement by staining using annexin V or lactadherin to bind membrane phosphatidylserine, cell surface markers to identify particles originating from specific cell types, and dyes such as SYTO 13 which can bind DNA, an important component of many particles (42,43). With any staining approach, gating on structures of appropriate size is important to distinguish MPs from cell remnants and other debris. Table 1 summarizes particle detection. Using flow cytometry for particle assessment, studies on patient blood have shown particle elevations in many clinical conditions associated with either inflammation or vasculopathy. Not surprisingly, many of these conditions also show elevations in the levels of other nuclear components which are released from cells under the same conditions (41,44). These molecules or complexes include DNA, histones, nucleosomes and HMGB1. Animal models have shown clearly a role of HMGB1 and histones in conditions such as sepsis and arthritis, since antibodies to these molecules can inhibit disease. While a role of MPs in driving events in disease pathogenesis is likely, approaches to inhibit the actions of intact particles per se as opposed to constituent molecules are not yet available. The association of nuclear molecules with particles in disease settings is nevertheless strong, raising questions concerning their physical interaction. Studies in my laboratory have used macrophage cell lines to explore both the mechanisms of HMGB1 release following TLR stimulation and the relationship between the release of HMGB1 and microparticles (45, 46, 47, 48, 49). In these studies, we have tried to delineate release mechanisms during activation and cell death, recognizing that they may occur concomitantly. Thus, while previous studies have suggested distinct mechanisms for release of HMGB1 during activation and cell death, stimulation by TLR ligands can lead to cell death, whether by apoptosis or pyroptosis. To the extent that MP release results from blebbing, particle release from cells undergoing activation could, in fact, reflect cell death. In immune cells, activation induced cell death is an important element in regulation, suggesting caution in dividing activation and death too rigorously. Using RAW 264.7 cells as a model, our studies showed the release of HMGB1 following stimulation by LPS, a ligand of TLR4, and poly I:C, a ligand of TLR3; poly I:C can likely stimulate other pathways. By contrast, particle release following stimulation by cytosine-guanine (CpG) DNA, a ligand of TLR9, was not observed. In these experiments, release of HMGB1 was assessed by immunoblotting of culture supernatants. To further assess the mechanism of HMGB1, we explored the role of other mediators induced by TLR stimulation. These studies demonstrated that both nitric oxide (NO) and interferon-α can induce HMGB1 release directly, suggesting that the effect of LPS and poly I:C may be secondary to the action of autocrine factors. The lack of particle release by CpG DNA likely reflects the different downstream pathways that are induced by TLR stimulation since TLR9 differs from TLR3 and TLR7 in the involvement of toll/interleukin-1R-domain-containing adaptor-inducing interferon β (TRIF) (45,46). As LPS and poly I:C can induce cell death by RAW 264.7 cells, we next performed experiments to determine a possible contribution of cell death to HMGB1 release. As these studies showed, the extent of HMGB1 release is correlated closely with the extent of cell death as measured by caspase activation or the release of LDH (47). Studies to explore this relationship further by blocking apoptosis showed that stimulation of cells in the presence of caspase inhibitors led to greater HMGB1 release than stimulation by LPS alone. This surprising finding may result from the effects of caspase on an orphan receptor called Nur 77. With caspase activity blocked during TLR stimulation, an increase in cell death occurs. While further substantiating the role of cell death in HMGB1 release, these experiments indicate that the interplay of activation and death pathways may limit more simple determination of the role of apoptosis in HMGB1 release. In this regard, stimulation of macrophages by CpG DNA seems less likely to induce death than other TLR ligands (45). Subsequent studies of particle release showed very similar findings to that of HMGB1 release. Thus, stimulation by both LPS and poly I:C led to the release of particles as assessed by flow cytometry (48,49). Further studies showed that nitric oxide (NO) donors could induce particle release directly while inhibitors of inducible nitric oxide synthase prevented particle release. As in the case of HMGB1 release, stimulation of cells with TLR ligands in the presence of the pan-caspase inhibitor ZVAD caused increased particle release while nevertheless decreasing NO production. Thus, in this model system, the release of HMGB1 and MPs show remarkable similarity, with both events associated with an increase in cell death. While the release of these molecules and structures in cultures of cells stimulated by TLR agonists most likely occurs from dead and dying cells, the experimental determination of this possibility is difficult. Assays of HMGB1 and particles are based on the material released into culture supernatants, whether from activated or dying cells. A cell releasing HMGB1 following activation could theoretically be identified by a loss of nuclear HMGB1, but operationally determining the state of the cell at the actual time of HMGB1 release (for example, activation, early apoptosis, late apoptosis) is technically challenging. Similarly, it is difficult to determine whether a cell has released blebs since blebbing is transient and only a few blebs may actually leave cells as particles. While perhaps a matter of semantics, the distinction between HMGB1 release during activation and death is nevertheless important since it influences the interpretation of mechanisms of release of HMGB1 and particles in states such as shock and ischemia-perfusion injury of the liver. Together, these studies closely link the release of HMGB1 and microparticles and imply a physical association. To explore this possibility more directly, we performed two types of experiments. The first involved a study of RAW 264.7 macrophages stimulated in vitro with LPS or induced to undergo apoptosis by treatment with either staurosporine or etoposide. After culture for 20 h, MPs were isolated by differential centrifugation and the presence of HMGB1 was determined by Western blotting after sodium dodecyl sulfate polyacrylamide gel electrophoresis (SDS-PAGE) separation. Figure 1 presents results of these studies. As these studies indicate, particles from both activated and apoptotic cells show the presence of HMGB1. These are preliminary experiments which need much further confirmation and elaboration. Furthermore, while showing the presence of a particle-bound form, these studies do not indicate the relative amounts of free versus particle-associated HMGB1, although studies in a Jurkat cell system suggest that most of the extracellular HMGB1 is free and not particle bound (Diane M Spencer and DS Pisetsky, preliminary observations). They also do not define the basis of HMGB1 association with particles. It is possible that HMGB1 leaves cells embedded in a particulate form; alternatively, HMGB1, released in a free form, could bind to particles after release. As particles contain DNA and histones, molecules with which HMGB1 interacts in the nucleus, HMGB1 could become a particle component by binding to these molecules; given its charged regions, it could even bind to phosphatidylserine which the particles expose. The expression of HMGB1 on microparticles from RAW 264.7 macrophage cells. RAW 264.7 cells were cultured for 20 h at 37°C, 5% CO2 with etoposide (ET; 30 µg/mL), lipopolysaccharide (LPS; 50 µg/mL) or staurosporine (STS; 1 µmol/L) or cultured without treatment (UN). Cells were removed by low speed centrifugation and MPs were purified by two rounds of centrifugation at 100,000g for 25 min. The concentrated MP samples were subjected to SDS gel electrophoresis under reducing conditions using equal volumes of sedimented particles. The HMGB1 was detected by Western blotting with a rabbit anti-mouse HMGB1 antibody preparation, using as controls supernatants from Jurkat cells that were cultured without treatment (UN) or heated to induce death (Heat). After incubating with an anti-rabbit HRP-conjugated antibody, the membrane was incubated with Super-Signal West Femto maximum sensitivity substrate and the resulting signal detected. The expression of HMGB1 on MPs was confirmed in a study of the response of healthy human volunteers receiving LPS (50). This study had originally been performed to assess possible immunomodulatory effects of inhaled NO and involved relatively low doses of LPS; furthermore, to attenuate possible adverse effects of the LPS, the volunteers were treated with glucocorticoids (51). Nevertheless, even with glucocorticoids, administration of LPS led to a robust cytokine response in the blood; inhalation of NO did not affect this response. Importantly, assay of HMGB1 by an enzyme-linked immunosorbent assay (ELISA) failed to show any elevation during the course of this experiment despite cytokine elevation and subject symptomatology (51). In contrast to the results from the ELISA, determination of HMGB1 on MPs by flow cytometry showed a significant increase of HMGB1 on particles within hours of LPS administration. Straining of particles with surface markers to identify the source of particle showed that particles with HMGB1 originated from both platelets and monocyte. These particles also showed the presence of nucleic acid as measured by the dye SYTO 13. Since the presence of HMGB1 on platelets had been observed previously, its expression of platelet MPs is not unexpected. Indeed, platelets were one of the first cell types shown to display HMGB1, with this protein originally identified as amphoterin (52). While platelets readily release MPs undergoing activation, platelets also undergo apoptosis. As a result, platelet HMGB1 may result from either mechanism. These studies have a number of implications. Thus, the study on volunteers receiving LPS suggests that the assay of HMGB1 on MPs may provide a more sensitive measure of HMGB1 translocation than assays such as an ELISA or immunoblot. This increased sensitivity may reflect an initial or preferential release of HMGB1 in a particulate form as opposed to a soluble form. Alternatively, the assay on HMGB1 on particles may facilitate determination of any elevations in the blood since the background levels on particles may be sufficiently low to facilitate detection of additional amounts from production induced by LPS. The presence of HMGB1 on particles also has been observed in studies on patients with progressive systemic sclerosis, although the process leading to this expression has not yet been defined (53). Our studies also are relevant to the immune properties of HMGB1 released into the blood during disease in humans or animal models or into culture supernatants in in vitro models. Microparticles are small structures and remain in suspension in biological fluids. Thus, unless particles are specifically removed by either filtration or sedimentation, particle-bound HMGB1 could contribute to any immunological effects observed in preparations such as blood or tissue culture fluid. Furthermore, because HMGB1 on particles may reside on a surface, especially near other immunologically active molecules such as cytokines, its activity may be enhanced by more effective receptor cross-linking or simultaneous triggering of more than one receptor. Indeed, studies have shown that HMGB1 can act synergistically with interleukin-1 (IL-1), which can be a particle constituent, raising the possibility of conjoint activity (54, 55). Table 2 indicates structural forms of HMGB1 in the blood. Structural forms of HMGB1 in the blood. At present, studies on the immune properties of HMGB1 have very much focused on the relative activities of the different redox forms as well as on the association of HMGB1 with other molecules such as chemokines and cytokines. In view of the association of HMB1 with particles and potential changes in its activity related to its disposition on such structures, assessment of the specific contribution of HMGB1 to the activity of particles and vice versa should be informative. Furthermore, in view of the findings from the LPS volunteer study, an examination of particle HMGB1 as a biomarker could lead to more sensitive detection systems to monitor events during inflammatory and vascular disease. Future studies in human and animal disease model should hopefully illuminate these issues and provide a further dimension to understanding the important role in disease of HMGB1 and other products of dead and dying cells. 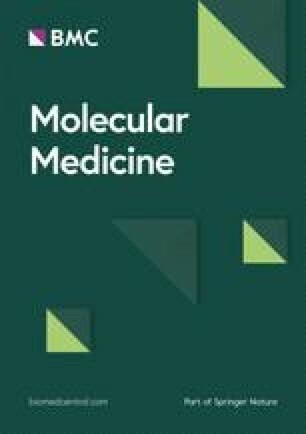 The author declares that he has no competing interests as defined by Molecular Medicine, or other interests that might be perceived to influence the results and discussion reported in this paper. This work was supported by a VA Merit Review Grant, a grant from Alliance for Lupus Research (ALR), and NIH 5U19-AI056363.